I love pumpkins! I am never ready to put my pumpkin theme away after Halloween. 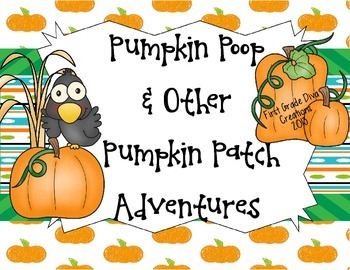 This product includes pumpkin activities for Halloween and activities that are appropriate any time in the Fall. You get the following lessons. Place Value~They cut out the tens and ones squares and glue them on the matching number. This would make a great quick check for understanding. 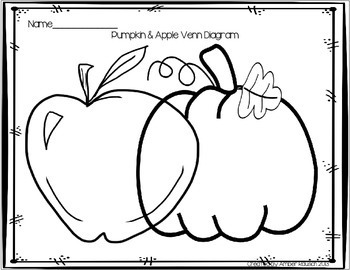 Pumpkin & Apple Venn Diagram~This is a great way to combine science and writing. Depending on the ability of my learners, the diagram can be a whole group brain storming activity. I then have them complete the writing encouraging them to use the information from their diagram. 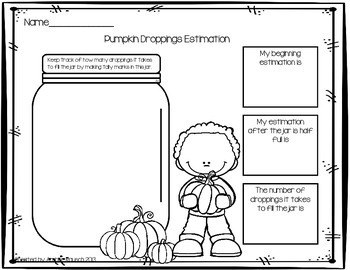 Measuring~This activity brings the pumpkin patch to your classroom. 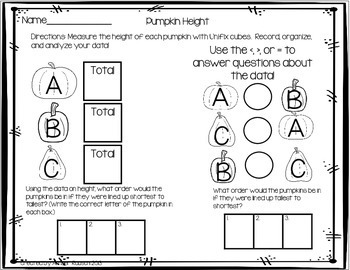 Children will measure the circumference and height of their pumpkins. They will then organize, interpret, and analyze their data. How Many Faces?~This activity works on student’s algebraic thinking. They use the moveable pieces to create as many different faces for the jack-o-lantern as possible with the shapes available in the table on their recording sheet. There is a beginning, intermediate and advanced recording sheet in order to reach all learners. Subitizing Pumpkin Seeds~Subitizing is the ability to recognize a number associated with a small group of objects without counting. This is HUGE in building number sense. Roll, Add, Subtract, and Color!~These two pages are a new twist on the roll and color lessons children did in kindergarten. They work on adding and subtracting fluently to and from twelve. Students also must use critical thinking because all answers are not represented on the pages. *Round & Round~Children put the stages of the pumpkin life cycle in order and then under each interactive flap they write what is the most important fact about each of the stages of the life cycle. This can be used as an assessment at the end of your unit or a pre-assessment before you begin. *One Seed at a Time~This is a great estimation activity, because it allows children to adjust their thinking half way through the estimation. This resource is included in my October bundle! Here are some other engaging lessons for Fall that you may be interested in for your students.